What I like most about it is that it has an excellent glow about itself. 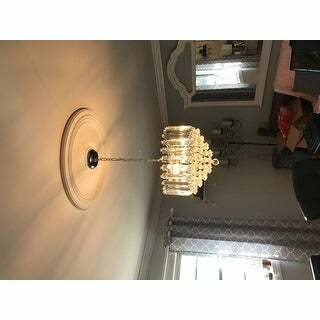 It looks very beautifully made and has the crystals hanging around the edges and also the ball on the bottom of the light fixture. This was an excellent addition to our home. The best thing about it is my wife is well pleased with it. Simply gorgeous! Safavieh Lighting 16.5-inch Hampton 2-light Chrome/ Clear Adjustable Pendant Lamp - 16.5" x 16.5" x 16.25-88.25"
Safavieh Lighting 12.25-inch Modern Crown 1-light Chrome/ Clear Adjustable Pendant Lamp - 12.25" x 12.25" x 19-91"
Safavieh Lighting 11.75-inch Shirley Grand 1-light Nickle/ Clear Adjustable Pendant Lamp - 11.75" x 11.75" x 26.25"
Make a grand statement with the glamorous layers of shimmering crystal that adorn this chrome adjustable pedant lamp. Its bold, defined style lends character to any contemporary space with its pairing of classic beauty and modern polished metal detail. Love this little light- our house is 140 years old- so it has historical charm, but needed something a little more modern in the bathroom. This chandelier is perfect! It’s plastic so it’s light weight (and you don’t have to worry about breaking it) but looks like glass. It certainly brings sophisticated, modern charm to the room. This is a beautiful light to hang in my foyer. Just enough light. The crystals give it the extra elegance that I wanted without it being over the top. Absolutely georgeous! So elegant and just enough bling. Placed over my new dining room table. Really set it off with a touch of elegance and class. I highly recommend this beautiful fixture. I just love it. Very cute and modern light. 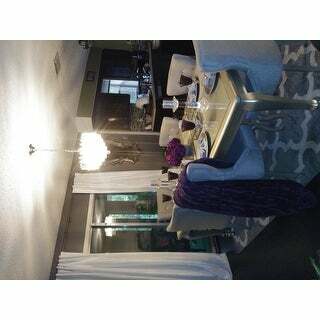 Loved the look, unfortunately had to return because it was too small for my space but highly recommend for anyone wanting a modern take on a crystal chandelier. This Pendant Lamp certainly adds a Million $ look to any room. Love it!!! Beautiful light fixture. It is not to big and not to small. Just the right size. It was for my entrance way and it has changed the look for the better. It added elegance to my home. Beautiful, absolutely beautiful. It looks gorgeous in my bathroom. 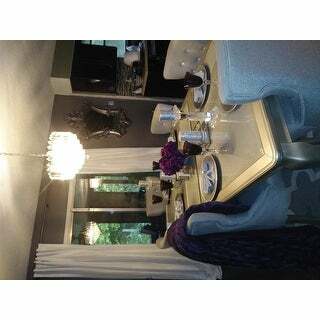 A contemporary spin on a crystal chandelier. Stunning. Very elegant, the light comes through and sparkles. I bought this for my master bedroom to add some glamour. It did the trick nicely. I have not had it hung yet, but I did take it out of the box and inspected it. I know that I am going to love it once it is hung in my bedroom. Beautiful chandelier. My electrician initially thought it was going to be a hassle to hang because of the crystals but they are primarily prehung which is huge. Looks much more expensive than it is. I love it. It looks very pretty. "What is the diameter of the piece that attaches to the ceiling?" The canopy dimensions are 5 x 5 x 1. "What type of 13 W light bulb does this use? LED?" "What is the weight of this light fixture?" It goes perfectly with my décor. I liked the design, I thought it looked sturdy, elegant, beautiful and that it will brighten the room. Eleganance. 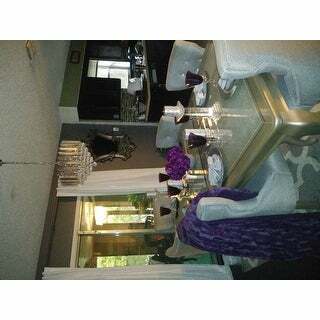 Just brought a new silver/glass type dining set and think this chandelier would be the kick that sets it off. Will send pictures later. 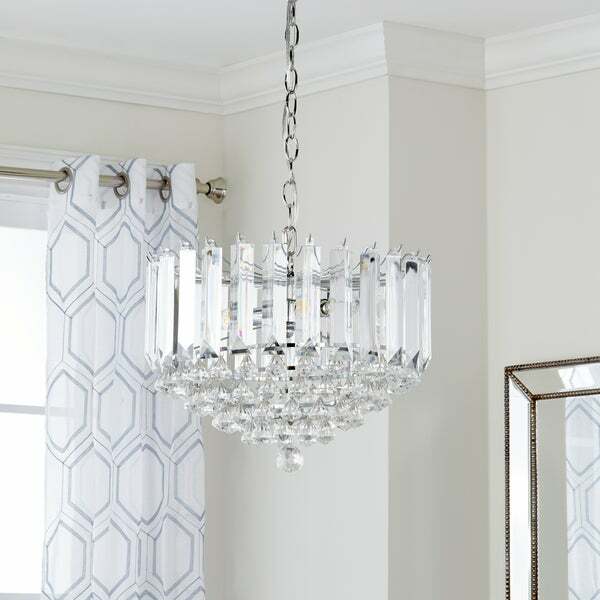 Safavieh Lighting 13.5-inch Vaxcel 3-light Chrome Acrylic Flush Mount - 13.5" x 13.5" x 11.75"
Safavieh Lighting 12-inch Silva Chrome Beaded Adjustable Diamond Pendant - 12" x 12" x 13 - 82"